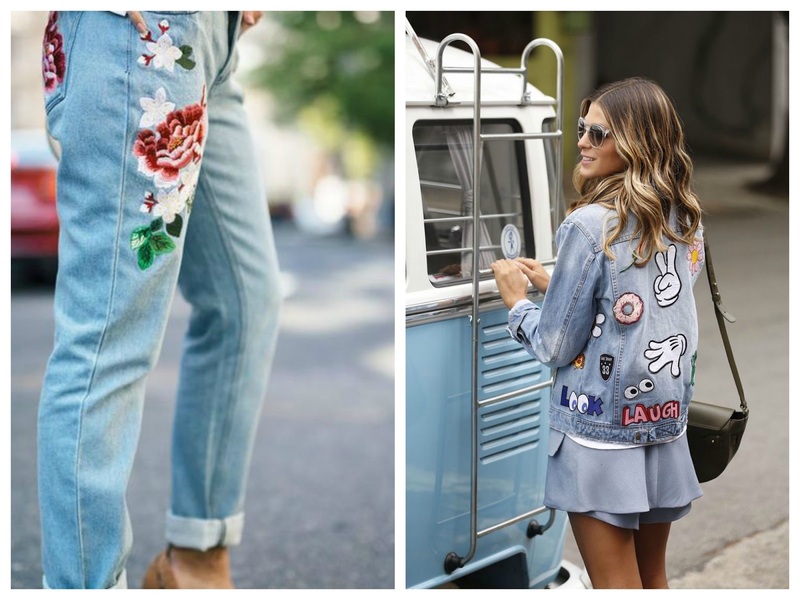 If you haven't seen the embroidered denim trend yet, be prepared, because it's gonna be everywhere! 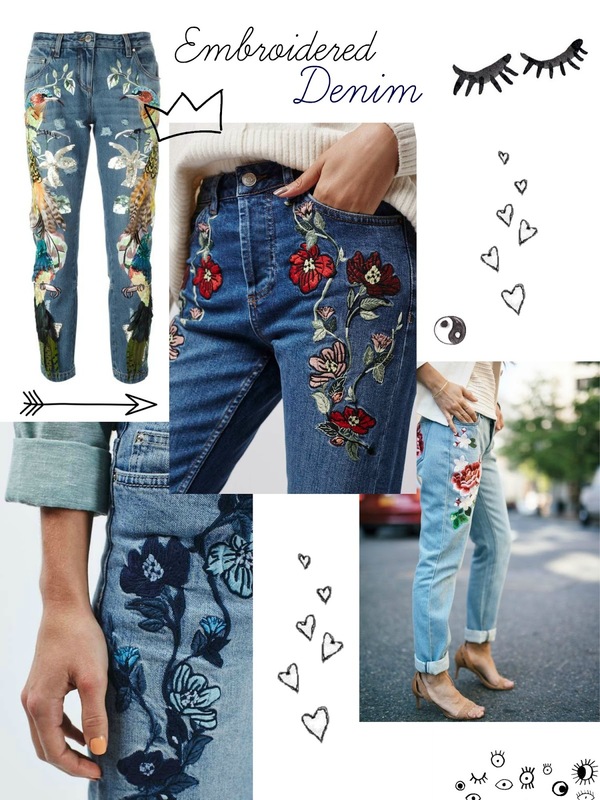 I personally got totally hooked up on it after seeing way too many street style photos on Pinterest and now can't wait to get a pair of jeans with some kind of embroidery! I love that you can wear those jeans with the simplest items like a white tee and a pair of sneakers, because the jeans in itself is a huge accessory and would get all the attention. 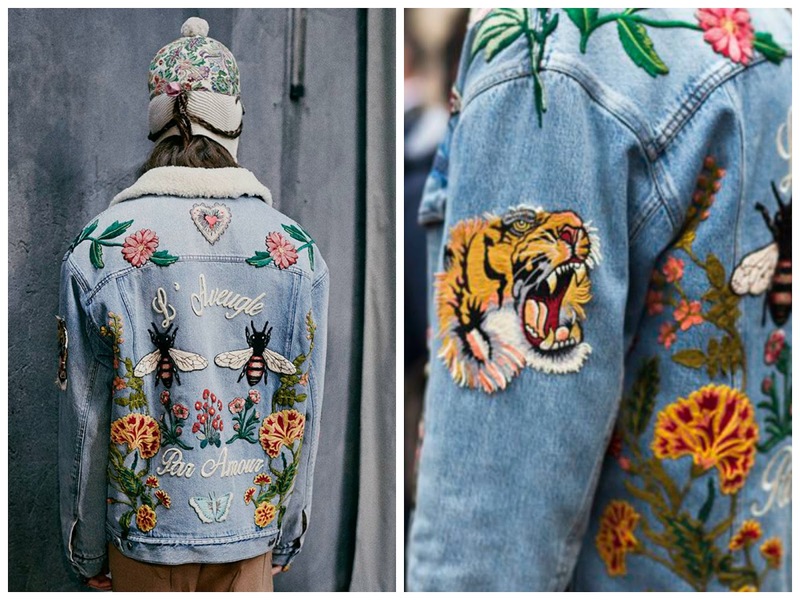 And I love this trend on oversized denim jackets! I think it's really cool how you can turn around and there's beautiful embroidery across your back. You can also find many street style photos like that on Pinterest and Girlterest.